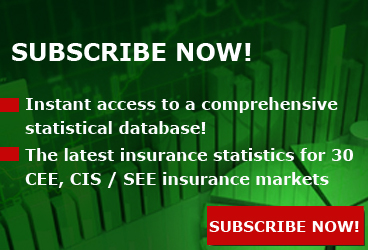 The CIS insurance business in general had a good year and finished 2017 with an average claims' decrease by 6.83% to EUR 8.45 billion. Aggregate GWP almost had no change, only a very slight decline by 0.22%. However, in general average indicators demonstrate quite good results; the CIS markets are very different in terms of GWP, claims, market shares, economics, insurance development and trends. The biggest share of the CIS business is traditionally owned by the regional leader and trendsetter - Russia with almost 85% stake of the market. In 2017 Russian market generated EUR 18.57 billion of GWP (almost the same level as in 2016) and paid EUR 7.4 billion of claims, which was 6.62% less than a year before. Russia' market driver is life insurance and the most challenging segment - MTPL. In terms of GWP Russia is followed by Ukraine (with almost 6% of the regional market), Kazakhstan (4.24%) and Belarus (2.04%). The smallest shares are recorded by Tajikistan (0.1%), Armenia (0.27%) and Kyrgyzstan (0.06%). Many of the CIS markets saw a declining trend last year mostly due to their currencies' fall against euro. For example, Ukrainian hryvnia in 2017 fell against euro by almost 18%. But some markets demonstrated the opposite situation in this regard. Moldovan market last year went up by 6.93% due to appreciation of the national currency. The biggest decrease of GWP saw Uzbekistan (-52.43%) where in 2017 claims broke the record over the last 10 years. Such a dramatic situation was caused by growth of agro and life insurance claims on the one hand, and by the currency reform which led to significant currency depreciation on the other hand. Speaking about agro insurance - in 2017 Ukrainian market had a quite opposite picture: agro GWP exceeded 2016 result by 28% thanks to expansion of the product range, extended coverage and mild winter conditions. The regional insurance penetration level remains rather low compared to European markets mostly due to the lack of financial education, low level of trust based on complicated settlement procedures and existing fraud cases, many pending problems related to compulsory classes' development and low insurance culture in total. Some of the markets still have a very poor market portfolio, for example, Kyrgyzstan hasn't even introduced MTPL (postponed until 2019). Moreover, statistical data, provided by supervisory authorities, in many cases is really narrow and limited by only total figures. Thus, full analysis of the CIS region remains quite difficult due to lack of insurance information about Tajik, Kyrgyz, Uzbek local markets and absence of any insurance data about Turkmen market which is represented only by 1 state insurer - the State Insurance Organization of Turkmenistan. 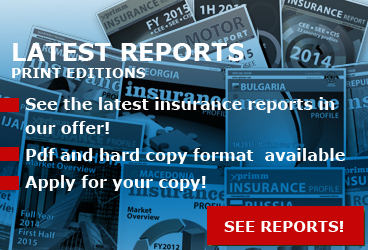 Read an in-depth analysis of the CIS insurance market's evolution in 2017 in the latest issue of XPRIMM Insurance Report CEE, SEE & CIS - FY 2017. 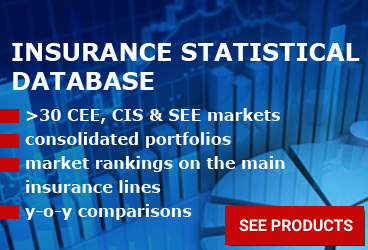 Access www.xprimm.com and download the FY2017 CEE | SEE | CIS insurance market statistics. 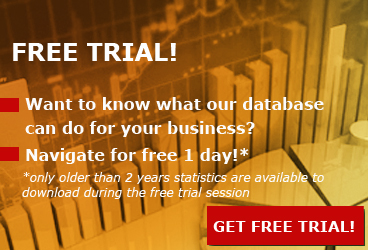 CIS Aggregate Figures per Countries are available here.